Midwest Millwork is a family owned and operated business with deep roots in the custom woodwork industry dating back to 1960 at which time our founder – Henry Hildebrand, supplied and installed custom church furniture across Western Canada. The company started their transition into custom millwork and casework with the expansion of the original shop of 2500 square feet to 6000 square feet in 1976 and to 18,000 square feet in 1992. In 2007, Midwest Millwork custom built a modern 42,000 square foot facility with state of the art machinery and automation systems. Millwork is no longer just custom wood products. Plastics, glazing, upholstery, metal fabrications, solid surfacing material and stone are now integral components of many millwork projects. Our highly trained and dedicated staff along with our valued relationships with international suppliers and service providers and the use of the latest technology allows us to provide our clients with the highest quality of millwork. This ensures that client expectations are met and surpassed for every project. Project schedules can often be very demanding and we will never compromise quality for quantity. – To promote healthy relationships and win-win partnerships with our suppliers and service providers. Our team includes staff in estimating, design, project management, engineering, production and installation with many years of industry experience. Many of our dedicated staff have been with Midwest Millwork for more than 20 years. Each team member is acutely aware of the importance of quality control and attention to detail at every project stage. This ensures that the project delivery exceeds client expectations. 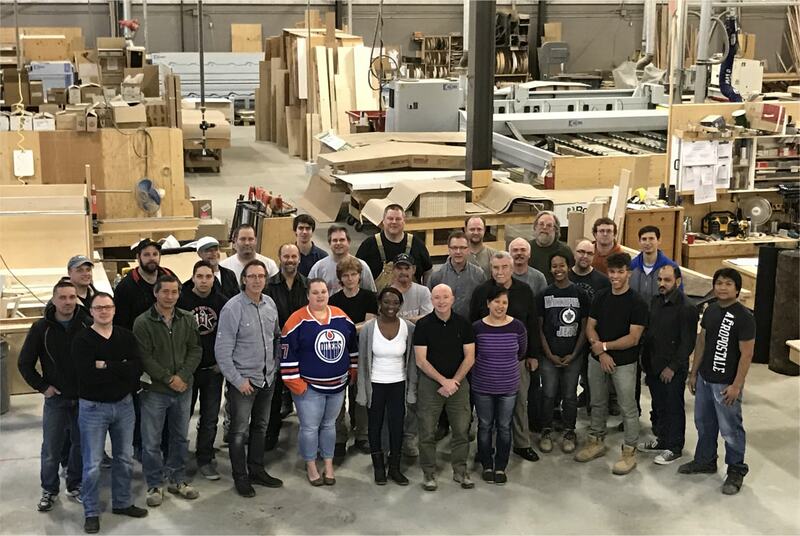 Employee training and skill development is encouraged and supported and we are proud to have partnered with the Northern Alberta Institute of Technology (NAIT) in support of the cabinetmaking apprenticeship program.